We are extremely excited to open another Elwoods on the london road in loudwater. 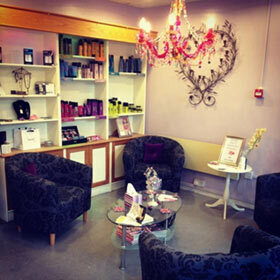 For all hair & beauty appointments at our loudwater salon please contact us on 01494450077. Elwood's hair & beauty salon..... (High Wycombe town centre) was established in December 2010 by Emma Wood and her daughter Lauron Wood. Emma has been in the hairdressing industry for 35 yrs and Lauron 17 yrs. Amongst some new staff members Robert, Kirsty & Karen still remain part of the Elwood's family.The salon has a fun and relaxed atmosphere where regular and new clients are made to feel welcome and comfortable. We use and stock some of the best Proffessional hair care ranges which are Schwarzkopf and KMS We also have gift sets and vouchers. We also have monthly hair and beauty offers. We hope you enjoy the Elwood's experience.